When: Wed., May 1, 7:30-10 p.m. The highly anticipated return of Central Asia's CHIRGILCHIN TUVAN THROAT SINGERS https://chirgilchin.bandcamp.com/ https://www.pnmartists.com/chirgilchin with khomus (jaw harp) player Yuliyana Krivoshapkina The word Chirgilchin has two translations:"dance of the air in the heat of the day" and "miracle". 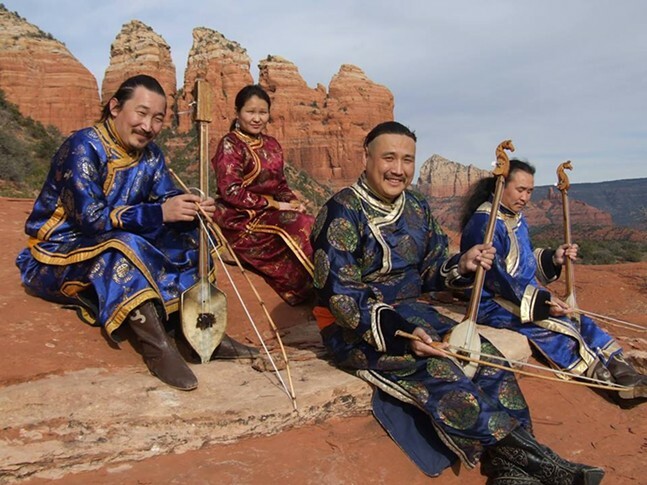 Established in 1996, Chirgilchin is a group of musicians from Tuva, a small Russian province north of Western Mongolia. Their music tells stories of their homeland, its horses and its people.